Next week, artist Coco Fusco will again undergo a transformation a few of us at the Walker were lucky enough to witness a year ago: she’ll become—outwardly, at least—Dr. Zira, the chimpanzee psychologist from the 1968 film, Planet of the Apes. The in-costume talk Observations of Predation in Humans, A Lecture by Dr. Zira, Animal Psychologist was presented at the Walker November 6, 2014, as part of the exhibition Radical Presence: Black Performance in Contemporary Art, and on November 18, 2015, Fusco will reprise the piece at New Jersey’s Monmouth University. 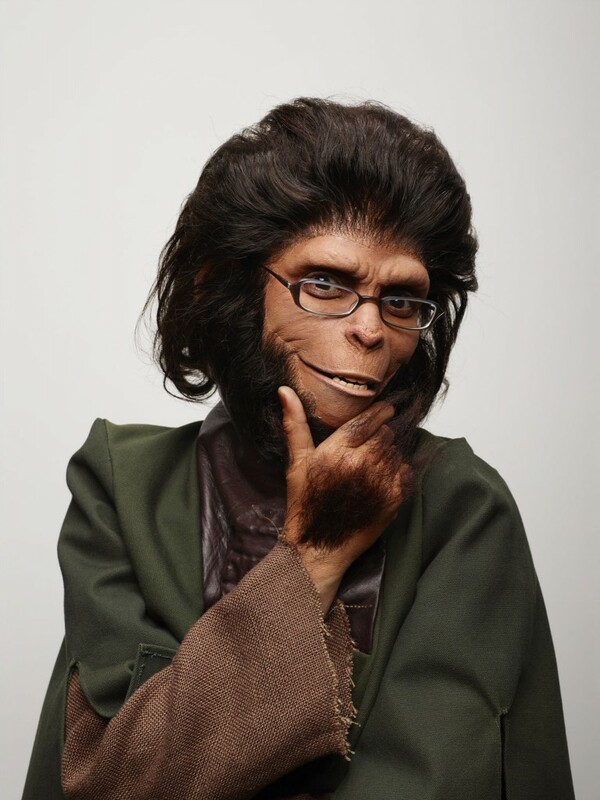 In honor of Zira’s return, we decided to share some of what went on in the green room last year, as Fusco—her voice occasionally muffled as she underwent her simian change—shared her thinking about the performance. 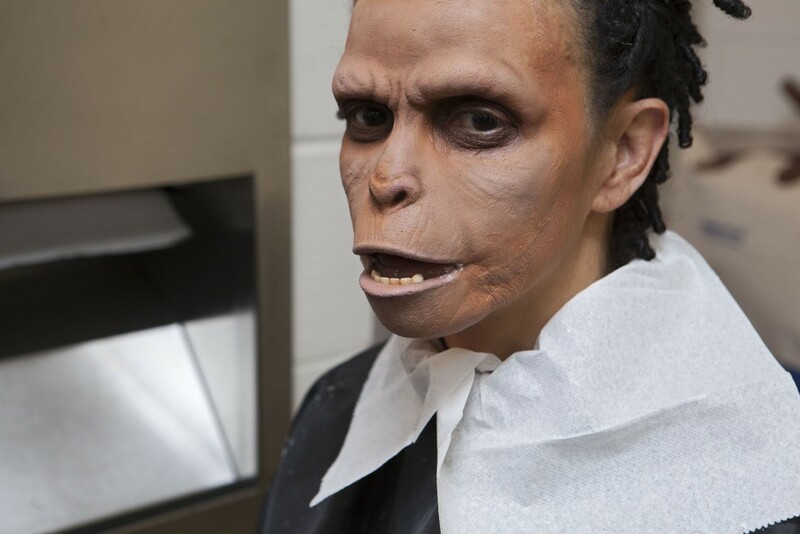 Over the course of nearly three hours, a professional makeup artist turned Fusco into Zira, the scientist who studied human behavior in the 1960s and ’70s film series. 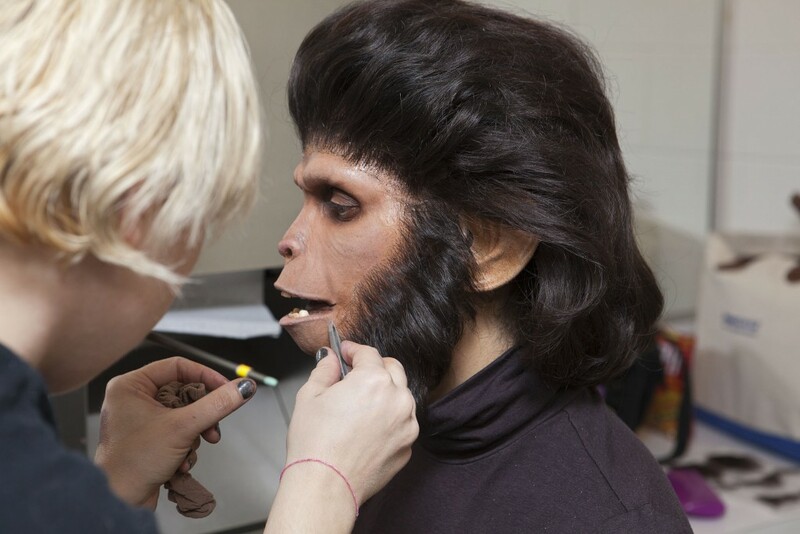 Using film industry makeup, costumes, and prosthetics, the transition involved adhering facial features, a mane of human hair, and tufts of fur to Fusco’s knuckles. 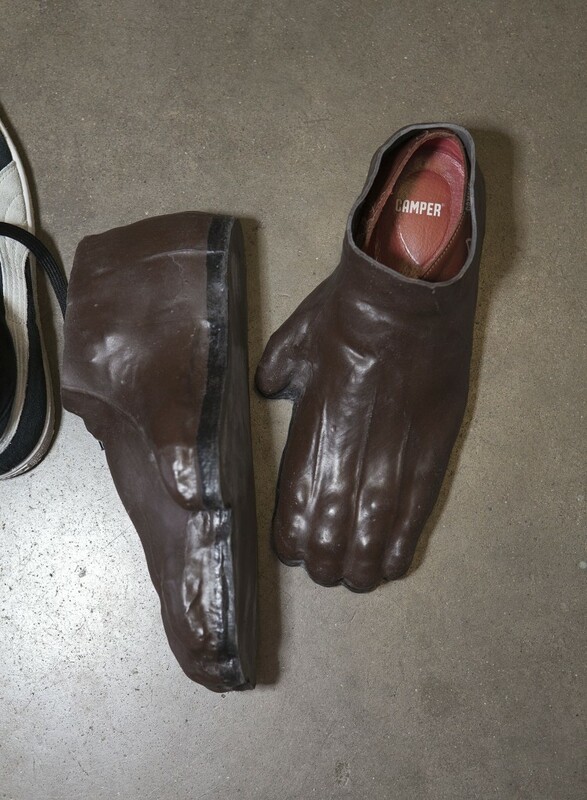 But getting into character mentally and intellectually took much longer—starting with a request from the Studio Museum in Harlem to re-perform a past work for the New York presentation of the CAM Houston-organized Radical Presence show in 2013. During the performance Gomez-Peña and Fusco presented themselves as members of the fictional Guatinaui tribe, inhabitants of an uncolonized island in the Gulf of Mexico. Wearing leopard print loincloths and artificial feathers while contained in a gilded cage, the artists told stories in a made up language, performed fictionalized ritual dances, and ate bananas fed to them by docents/zookeepers. Despite exaggerated theatrics and outlandish costumes and props, many museum visitors believed the performance to be authentic and reacted accordingly. Studies of animal behavior often focus on aggression and predation. We tend to think of predation usually in terms of the hunt for prey—carnivores attacking other animals to feed themselves. But in a broader sense predation means “to plunder,” and in animal psychology it is understood as goal-oriented aggression for the accumulation of resources. Dr. Zira comes from the future and focuses on our species’ drive for status, territory, and material. These are aspects of behavior that humans share with primates and many other animals.